TORONTO, April 11, 2019 /PRNewswire/ -- The trend is clear; shareholders and future generations of talent are demanding that companies and boards lead a transformation towards a more inclusive, resilient and clean future. Even BlackRock, the world's largest asset manager, is working to help many of its clients integrate ESG factors across their portfolio to enhance long-term risk adjusted returns with built-in resilience. That means corporate boards must expect more ESG questions in the coming years. Few boards have the experience to deal with the drastic changes facing them: Climate, Diversity, Human Rights, Supply Chain, Environmental, Social & Governance (ESG), Anti-corruption, Sustainable Development Goals (SDGs), Responsible Data-use, Cybersecurity, Tax, Transparency, and Increased Disclosure – to name a few. And as we are in the midst of proxy season, with countless ESG related questions, many boards feel the increasing need to have more competence in these areas. "A board member that wants to enhance his or her reputation, while creating economic value and resiliency, will need to ask the right questions and evaluate whether management's approaches appropriately consider all the changing risks and opportunities. That is difficult if you don't have the knowledge and experience – and it can be very costly," says Helle Bank Jorgensen, CEO and Founder of Competent Boards Inc.
She adds, "today an ill-informed board decision can cost you your job, reputation and potentially your freedom – so ensuring that the board is well-informed should be a requirement from all shareholders and stakeholders, so the company has the best chance to survive and hopefully thrive." Matthew Arnold, Managing Director and Global Head of Sustainable Finance, JPMorgan Chase & Co. echoed similar views during his interview with Competent Boards: "The level of accountability on business will remain high and get higher - and our responsiveness will grow. And I think the leaders will distinguish themselves by turning it into some sort of business advantage." Competent Boards has interviewed more than 40 global board chairs, board members, CEOs, investors and experts and consulted several more to determine the need and appetite for a professional development program that hits on all the major ESG factors. The conclusion is that there is certainly a need for a program such as this. As Erika Karp, Founder & CEO; Cornerstone Capital Group said, "I think a board member who can't articulate the most material environmental, social, and governance factors for their own company is in breach of fiduciary duty." This impressive group of 40 leaders that share their insight as part of the professional development program that Competent Boards has launched includes Paul Polman, former CEO, Unilever; Jim Hagemann Snabe, Chair, Maersk and Siemens, Vice-Chair, Allianz; Erika Karp, CEO, Cornerstone Capital Group; Robert Herz, Board Member, Morgan Stanley, Fannie Mae, Workiva; and many more. Paul Polman, former CEO of Unilever, said: "Incredible initiative. Competent Boards will share knowledge, experience and insight to help train board members on how to capitalise on the opportunities the SDGs present." This program is the first of its kind globally. In addition to gaining insight to deal with issues in future board meetings, participants will also get an international network of peers - as the sessions are run in an interactive online setting, saving the participants time, money and CO2. Additionally, for each participant, Competent Boards will plant a tree to put into practice what Paul Polman mentioned in his interview with Competent Boards: "what we need more in this world is trees and leaders." Competent Boards hopes to plant many trees and leaders in the coming months and years. 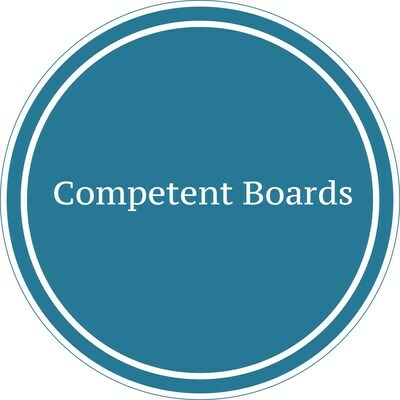 Competent Boards runs online professional development programs for Boards and those that advise them. The Competent Boards Certificate Program provides insight from over 40 global board chairs, board members, CEOs, Investors, and other experts and covers how boards should deal with ESG, Climate, Diversity, Human Rights, Supply Chain, the SDGs, Anti-corruption, Tax, Investment and Pay issues, Responsible use and handling of data, Disclosure, etc. Helle Bank Jorgensen is a renowned sustainability, climate change, and ESG advisor with close to 30 years of experience helping global companies and investors turn sustainability into strong financial results. Helle has worked with hundreds of world-leading companies including IKEA, Nike, Shell, Unilever, Maersk, Novozymes, Novo Nordisk, Vestas, as well as SMEs and investors. Besides being a board member, she serves on His Royal Highness Prince of Wales A4S Global Expert Panel, the Cornerstone Capital Global Advisory Council, and the Future-Fit Business Benchmark Release Council. Helle is a Board Facilitator for the UN Global Compact Board Program and a regular keynote speaker and author of many thought-leading articles and books. Helle was the creator of the world's first Green Account as well as the world's first Integrated Report, the first holistic supply chain program, and was the principal organizer for the CEO/Investor-network for Business Ethics and Non-Financial Reporting. She led the Improvement of DJSI and CDP ranking and investor communication for global companies and has worked on Natural Capital Accounting for IFC/World Bank. In 2015, Helle became the first in North America to have received the Certificate of Achievement and passed the GRI G4 Exam. Helle was a Partner with PwC for 11 years, building and leading sustainability and climate change practices in Europe and the US. She has extensive experience providing strategic and operational guidance to all functions within an organization, including advising at the C-suite and board level. Helle is a State Authorized Public Accountant and Business Lawyer by training.